Unless you have really dry scalp, most of use don’t need the extra moisture conditioner provides on our roots. Your scalp naturally produces Sebum (oil) every day and adding more will give your hair a greasy look. 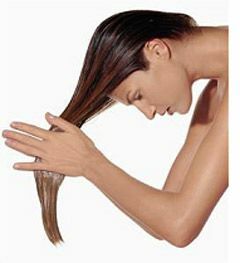 Try to applying your conditioner to the bottom 3/4 of your hair, really concentrating on the ends rather than the roots. This will ensure that the bulk of the product is where it is needed most. This entry was posted on Thursday, February 25th, 2016 at 9:00 am	and is filed under QUICK TIPS. You can follow any responses to this entry through the RSS 2.0 feed. You can skip to the end and leave a response. Pinging is currently not allowed.